Sisterhood, not story, claims responsibility for this film’s massive success. With $915 million dollars and counting, Disney Feature Animation regains it’s crown. While catchy songs, charming vocal performances, and a lush color palette contribute to the film’s success, the story itself is dysfunctional. Competing personal points-of-view (i.e., who is the Main Character?) and a weak Overall Story Throughline that starts and stops as it sputters along (if it’s so cold, why don’t you guys just go inside?) illustrate but a few of the problematic areas. Yet, the film succeeds in spite of these missteps because of the solid emotional core at the center. The relationship between Anna and Elsa conjures up circumstances unheard of in modern film, let alone an animated one. Like it’s massive Winter-blockbuster sister and equally dysfunctional narrative Titanic, Frozen will continue to live on because of the emotional argument carried out within this key throughline. Understanding how this argument works becomes essential for those wishing to repeat Frozen’s monstrous success. The Dramatica theory of story refers to the structure of an argument as a storyform. As a model of the mind’s problem-solving process, Dramatica sees a complete story as an analogy to what goes on in our own minds. Combining seventy-five story points, this assemblage of thematic material provides the “message” or meaning of the narrative. The closer a story mimics these processes the less chance for story “holes” and the more it will feel complete. The fact that Frozen hits many of these points within the same storyform explains why Audiences have taken it to heart: the film reflects the kind of arguments people make to themselves everyday. Frozen opens up by setting the stage for the problems between the two sisters. Forced to keep her powers in check, Elsa sequesters herself, leaving Anna with wild guesses about why they can no longer build snowmen together (Relationship Story Problem: Induction). The constant rejection puts an incredible strain on their relationship (Relationship Story Symptom: Non-Acceptance) creating an air of stubborness between them (Relationship Story Throughline: Fixed Attitude). To combat this, Anna responds the only way she knows how: by giving Elsa the kind of love and consent her sister deserves (Relationship Story Response: Acceptance). Unfortunately this response isn’t enough, and Elsa acts out (Relationship Story Benchmark: Impulsive Responses). As her powers are revealed, the responses of those in the castle remind Elsa of how her parents reacted that first day and she flees (Influence Character Problem: Reaction). Why label Elsa the Influence Character and not a secondary Main Character, or co-Protagonist? Anna works as both Main Character and Protagonist within the Overall Story (Dramatica differentiates between the two). Elsa assumes the Influence Character role and, after lashing out with her snow monster, takes on the role of Antagonist. In fact, her impact on Anna wanes at this moment, allowing Kristoff to saddle in and take the Influence Character hand-off from Elsa. Both sister and boyfriend-to-be usher forth similar thematic substance in song (Influence Character Issue: Deficiency vs. Permission). Kristoff with his “fixer-upper” song (Deficiency) and Elsa with her “Let It Go” performance (Permission) provide the necessary challenge to Anna’s own personal issues. Anna’s failure to see the forest for the trees when it comes to the limitations imposed on the people around her—like Hans and Elsa—(Main Character Issue: Preconditions) constrains her efforts to learn why her sister wants nothing to do with her (Main Character Concern: Gathering Information). Her failure to further scrutinize those she loves (Main Character Problem: Re-evaluation) acts both as her downfall and her strength. Ultimately, the story requires an act of “true love” to lift the curse of the frozen wasteland (Overall Story Throughline: Situation and Overall Story Solution: Proaction). Anna answers that call by sticking with her Crucial Element of Non-Acceptance*, choosing her sister over the easy and obvious one before her, Kristoff (Main Character Resolve: Steadfast). The snow lifts and the kingdom of Arendelle returns to what it once was (Story Outcome: Success). Realizing that love, not fear, reconciled the two sisters (Relationship Story Solution: Deduction), Elsa can now use her powers for good, boldly providing joy to her subjects (Influence Character Resolve: Change and Influence Character Solution: Proaction). Moved by her sister’s transformation and Kristoff’s own bold act of courage (another instance of Influence Character Solution: Proaction), Anna joins in the celebration by doing what she does best—bringing her own brand of mischievous jubilation to a celebration (Story Judgment: Good). As far as improving the central plot, the storyform provides a clue about what could work with the rest of the narrative. For instance the Overall Story Issue of Attraction, could use some attention. 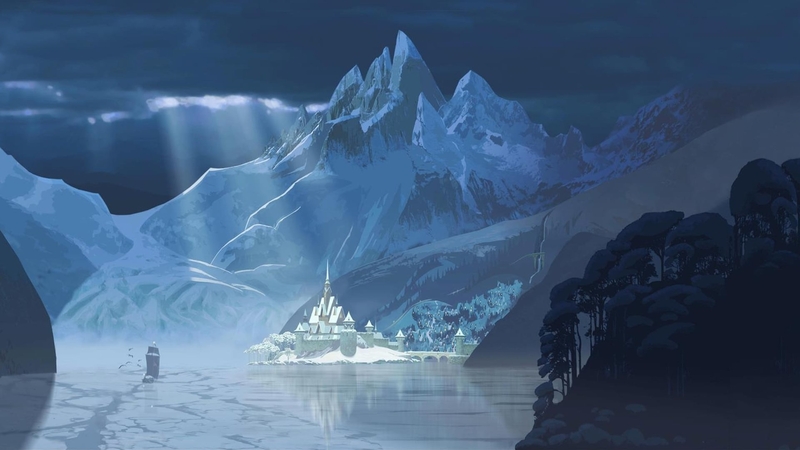 The people of Arendelle, drawn by the brilliance and radiance of Elsa’s castle, could have attempted to make the trek up the mountain, only to succumb to the cold or the treacherous cliffs. Or these same people could have been drawn more and more to the charisma of Hans to the point of turning against their compatriots. Either of these could have illustrated the Overall Story Issue of Attraction and added to the richness of the story by showing how being drawn to something increases conflict. The Consequence of Contemplations, also missing from the final film, offers a chance to raise the stakes far beyond “freezing to death”. The consequence of failing to lift the frost shouldn’t be death, it should be something closer to the thought that everyone will think less of Elsa and her royal family. While that may sound inconsequential when compared to the loss of life, it plays stronger thematically against Elsa’s issues of letting go and being herself. It also works with Anna and Elsa’s Relationship Concern of Contemplations. By playing out the conflict of what it feels like to have your own sister think less of you against the consequence of everyone feeling the same way, the film could have added a nice thematic subtext to Anna’s journey. Regardless of how these story points could have been exposed, bringing them to the film would have helped shore up the logical side of the story and help stifle those criticisms that felt the plot lacked sophistication. These Issues of Attraction and Consequences of Contemplations aren’t random; they work in harmony with the thematics already there in the final product. What better place to explore the problems of attraction and what people think of you than in a story where the two principal characters struggle with what they’re allowed to do and what others are imposing on them. The storyform works because it holds like-minded thematic material together. It’s important because it offers an opportunity to see the entirety of an argument from every angle, important if you want a story to feel complete. This isn’t to say there aren’t some wonderful touch points from the storyform found in the actual film. The Influence Character Unique Ability, which grants the Influence Character the ability to thwart the Main Character, is set to Permission—it’s up to Elsa who Anna can and cannot marry. And what of the Relationship Story Catalyst? This story point increases the conflict between the Main Character and Influence Character. The storyform calls for Investigation which works perfectly for what is already there in Frozen. Every time Anna tries to delve into why her sister won’t talk to her (the “Do You Wanna Build a Snowman” song or her first time to the Ice Castle) the tension between the two sisters mounts. And lastly, take a look at Anna’s Main Character Critical Flaw. This bit of structure weakens the Main Character’s ability to resolve the issues at hand. Without it, the story would last two minutes. Factoring in all the other thematic choices made—everything from the Story Outcome of Success to the Relationship Story Symptom of Non-acceptance to the Influence Character Solution of Proaction—the story requires Anna’s Critical Flaw to be Attraction. In other words, Anna’s attraction to others diminishes her ability to save the day. Her relationship with Hans and the reveal that comes later works because it is exactly the kind of thing needed to solidify the story’s structure. Main Characters are as blind to their Critical Flaws as much as we are to our own. Assuming her place within the story (as Audiences do with Main Characters), we become just as blind to that attraction. Instead of some silly surprise that comes out of nowhere, our realization of what Hans represents becomes something much more meaningful to the actual structure of the story. Disney, more than any company, has the ability to create these films that continue to speak to generation after generation because of the timeless themes they address, and I think Frozen might belong in that pantheon of great films. “Timeless themes” communicate loud and clear when presented within the framework of a solid argument. The recipe for success? Create a story that functions like the mind’s problem-solving process and enjoy becoming part of a legacy. Frozen took this approach and secured for itself a place within the grand tradition of beloved Disney animated features.